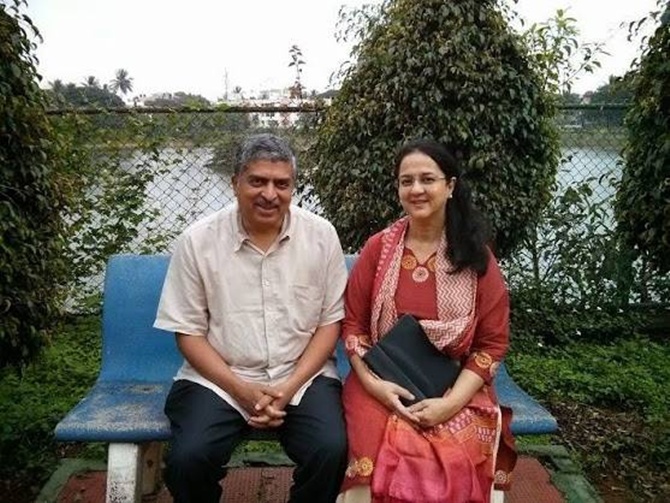 Nandan Nilekani and his wife Rohini are trying to improve education across India using interactive computer games and software to teach children via smartphones. Image: Rohini's involvement in primary education goes back 25 years. Our order for lunch is being taken at Bengaluru's inventive Caperberry restaurant when we are all baffled by a word that would likely not be allowed in a game of Scrabble. The manager has asked Rohini Nilekani if she would like to order a starter called 'Spherification'. We all want to know what it is. 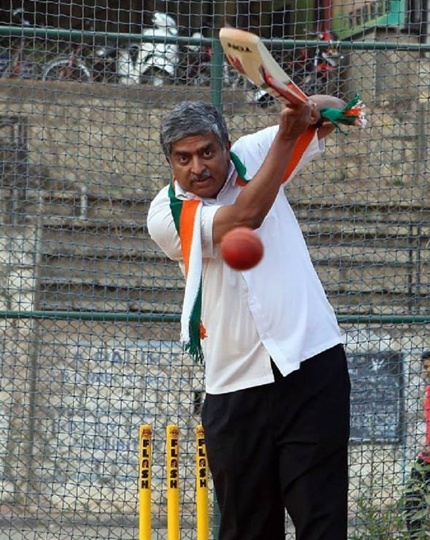 Nandan Nilekani asks the manager to repeat the order because he knows I need to write it down. Still, 'Spherification' remains mostly a puzzle till it arrives in the form of small round ice lollies of gol guppa pani and mango that a child might make. Chef Abhijit Saha is one of the most gifted in India, but occasionally his take on molecular gastronomy tips over into comedy. Orders out of the way, I ask the Nilekanis how their innovative idea came about of trying to improve learning outcomes across India using interactive computer games and software to teach children via smartphones. Rohini's involvement in primary education goes back 25 years. 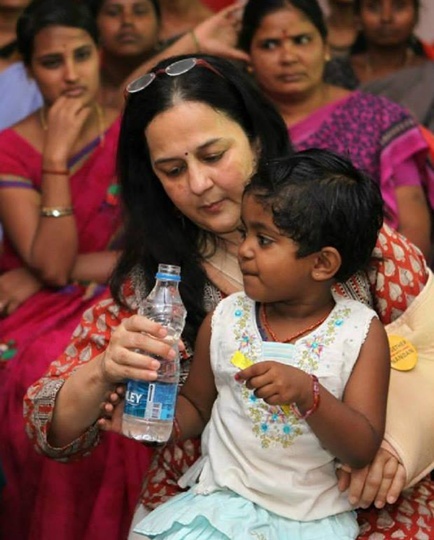 In 1999, she joined the Akshara Foundation, started by the Karnataka government, which set up preschools in slums. Soon after, in partnership with Pratham Books, she began to work towards making children's books more easily available by massively subsidising them with personal donations and by putting them on the creative commons so they could be downloaded without copyright restrictions. Going beyond the attempt to ensure there were children's books in regional Indian languages, people translated the books into Japanese and Chinese. Rohini laughs as she recalls how Pratham Books even used the railways to reach children travelling in summer. I recall spending a day with her in balwaadis and government schools in a poor Muslim neighbourhood of Bengaluru a decade ago. 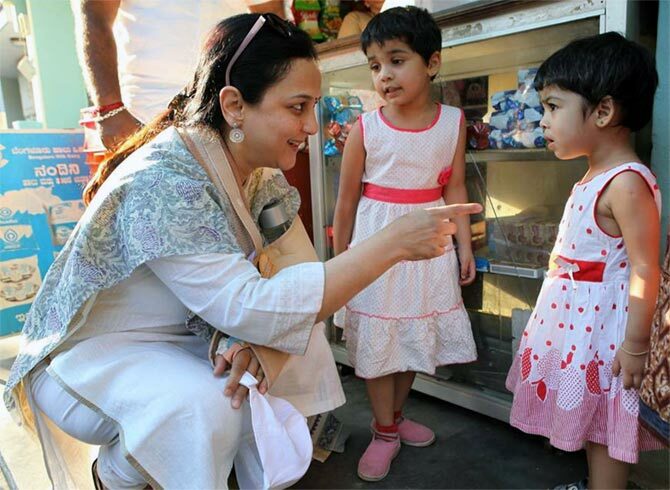 Her energy was infectious as she checked on the libraries in schools, stopping occasionally along the way to sit on the floors of a balwaadi in a slum and read to children. 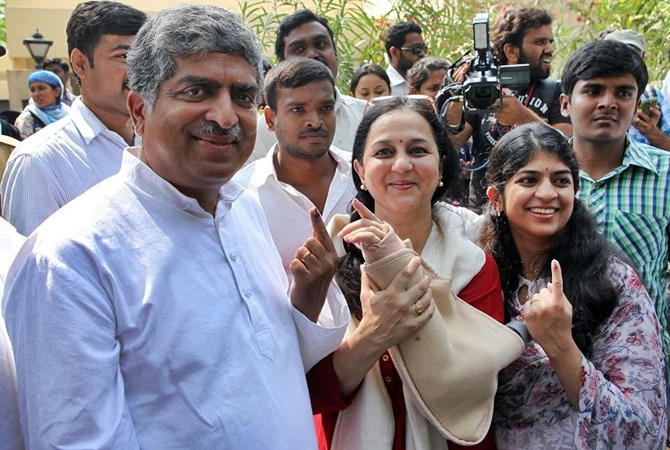 Nandan interjects to say that Rohini also funded the first two nationwide surveys by Pratham that showed how poorly children were learning in government schools across India, findings that broadly remain true to this day with about half the children in class 5 unable to do the arithmetic sums that a class 2 student should be able to tackle. "It's a national tragedy," says Rohini emphatically. Then, as if passing the baton in a relay, she says, "Nandan will take over." He, fast-forwarding to their current effort to turn those depressing statistics around, recounts that when they were in Harvard for their son-in-law's graduation last year, they went across to Massachusetts Institute of Technology to learn about the massive open online courses called edX led by a friend that are offered free. edX teaches, in Nandan's words, "high funda stuff" like calculus and trigonometry. Rohini, he says, thought the same concept could be put to work in helping children between five and 10 with an interactive online tutor to learn basic math and reading. 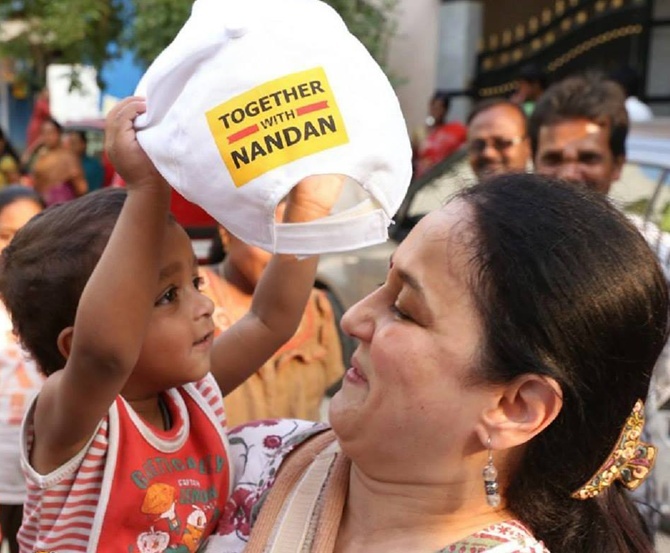 "Nandan doesn't do small things," Rohini says. "When I said 200 million kids, it got his attention." Nandan's explanation is more prosaic. Having suffered a bruising election loss to the veteran Bharatiya Janata Party politician Ananth Kumar in south Bengaluru in the summer of 2014, he needed work. "I was basically unemployed. I wanted to do something with a social impact," he says. EkStep sits at the confluence of many converging trends: the dropping prices of smartphones (which, according to many projections, will be owned by 500 million Indians by 2020), the growth of mobile internet and the ability to store almost infinite amounts of information thanks to cloud computing. Switching seamlessly between technology and education, Nandan says, "The internet has squared the circle of scale and personalisation." I once jokingly described Nandan as a corporate Maharishi Mahesh Yogi for the likes of Tom Friedman, but at lunch I am reminded that few people explain technology and its intersection with society and government better - the subject of his next book, Rebooting Government (co-authored with Viral Shah). Nandan goes on to say that the data analytics used by Amazon and Flipkart for commercial uses can also be used to "mass customise" education for a child struggling with division and falling further behind his peers by assessing his level and tailoring lessons accordingly, which is much harder to do in large classes. Using what Aadhaar has accomplished by massively reducing the losses in providing cooking gas to households - savings estimated to be Rs 15,000 crore - as an analogy, he says: "The same disruptive tools apply to solving social issues. Business as usual will not solve India's problems." I remark at how taken I was to see Aadhaar being used as the backbone for a financial inclusion effort spearheaded by Khosla Labs' Srikant Nadhamuni that I witnessed on a previous trip to Bengaluru. Looking at a large screen, one could see where a kirana store owner armed with only a smartphone had opened a bank account for a construction worker just with his Aadhaar details the night before at well past 10. This is, of course, a subject close to Nandan's heart. "The key is to think of it as a platform," he says rattling off how he it can be used for authentication and biometric attendance as the government is doing, but also as a 'know your customer' for banks without all the documents they usually insist on and, even for e-signatures. He is on a roll by now and is even confident it could prevent future Vyapam scams because the Aadhaar platform could be used for digital lockers where a university could issue digital graduation certificates and a job applicant could simply access it from such a locker. "Unless you have a fake university," interrupts Rohini. We laugh at that perfectly plausible prospect in India. Our main courses have been eaten by now - a stunning salmon for me and a John Dory for Nandan, while Rohini, a vegetarian, has a pear and asparagus salad. At some point, I realise I have been helping myself to her appetisers that were placed too close to me. When they split a pomegranate juice - "1X2," says Rohini - I begin to worry that they are under-ordering knowing that the rules are that Business Standard pays. I ask them what they see as the hurdles to EkStep. Both are pessi-optimistic in their reply. "There are lots of hurdles. It's massively ambitious. We have to have a diversity of content (in different languages). We have to make it engaging for each child," she says. "There is a scepticism about using technology in education." Nandan talks about the sophistication needed in the technology. I wonder whether mobile internet speeds on India's clogged digital highway and a population mostly using prepaid mobile accounts is ready for such a leap. Ever optimistic, Nandan is confident Wi-fi will be more easily accessible and that competition from Reliance Jio will drive costs down. Rohini turns reflective and returns to the challenge of making engaging content in the pilot tests they are currently conducting in English, Kannada and Hindi. "If I can see 1,000 kids learning (from the software and online lessons), I have no doubt that Nandan and his team will take it from there," she says before her voice trails off. "If the kids get stuck…"
The Nilekanis have tapped a global network with experts from the World Bank, educationists from the US and EkStep chief executive Shankar Maruwada, a tech entrepreneur, advising them. The Nilekanis have donated $10 million to get it going, but trying to help tutor 200 million children is the most ambitious gamble of their lives and both know it. "We are ways away from nailing it, but because it is a societal mission, people will help," says Rohini. 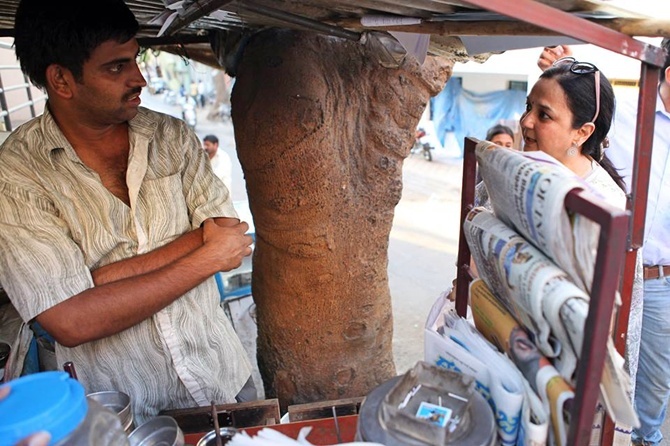 It may be India's last chance at creating a genuine demographic dividend.